"The third edition of Sport Management: Principles and Applications is a welcome edition with its exciting new cases studies and contemporary updates. The authors’ have produced a textbook which will engage both students and teachers – they provide a straightforward and powerful overview of sport management theory and sport industry analysis and great examples that illustrate the breadth of sport management from its global manifestations through to the local grass roots contexts." "An excellent critical introduction to sport management. It maps out the environmental context of sport management and the application of management principles in a structured and accessible fashion, striking an excellent balance between theory and practice with key case study materials. 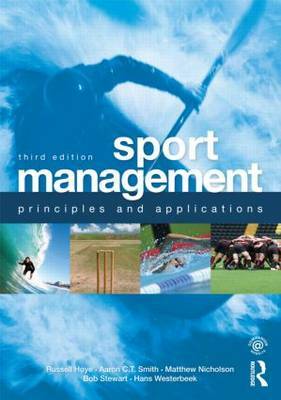 The book has quickly and deservedly established itself as a core text for sport management programmes."